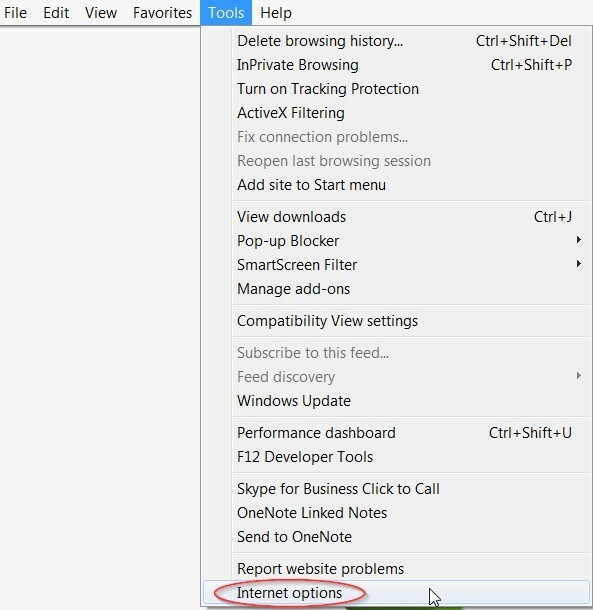 Following the implementation of eTags 2.0 on July 17, 2016 a limited number of customers using Microsoft Internet Explorer (IE) may encounter an issue when attempting to print a temporary tag. Chrome and Firefox are not affected. If you encounter the printing issue please follow the steps outlined below. If this does not resolve the issue please contact the TxDMV IT Service Desk or utilize the Chrome or Firefox browsers. If the temporary tag continues to be displayed in a separate window you may need to reset your browser back to factory default. Follow the instructions above to open the “Advanced” tab. 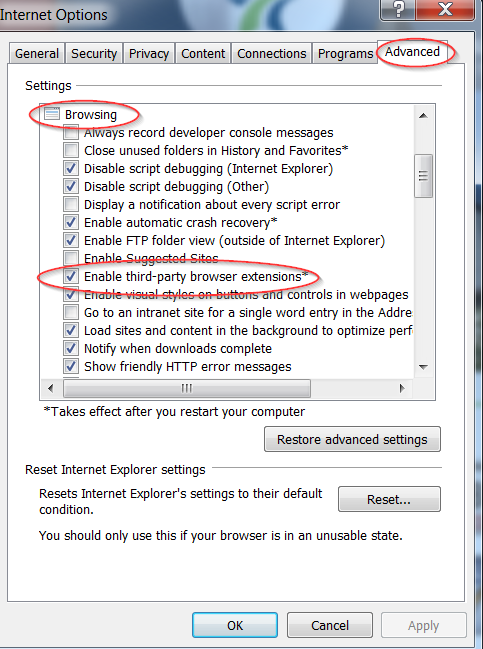 Click the “Reset” button in the Reset Internet Explorer Settings section at the bottom of the Advanced tab. *Please note: Factory default settings may negatively impact other web applications not published by TxDMV that your dealership may utilize. Please consult your local IT representative before you perform this step. It is highly recommended you consider using the most current version of Chrome or Firefox before performing a reset in Internet Explorer.